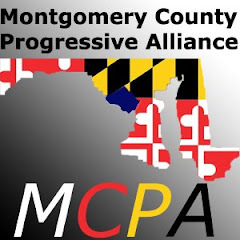 Montgomery County Progressive Alliance: What the Hell is Combined Reporting? Many retail chains earn profits at stores nationwide, but have developed an accounting scheme to evade paying their full share of state corporate income taxes. Tax experts believe the practice is costing states billions of dollars in lost revenue. It has also given chains an advantage over locally owned businesses, which must pay state income tax on all of their earnings. Twenty-one states are not vulnerable to these tax-evasion schemes, because they have enacted a policy known as combined reporting. Which other states enacted Combined Reporting? Which haven't? Which other states are considering it? [From the New Rules Project article] As of February 2008, twenty-one states have adopted combined reporting. These states are: Alaska, Arizona, California, Colorado, Hawaii, Idaho, Illinois, Kansas, Maine, Michigan, Minnesota, Montana, Nebraska, New Hampshire, New York, North Dakota, Oregon, Texas, Utah, Vermont, and West Virginia. Lack of corporate income taxes makes combined reporting irrelevant in four states: Nevada, South Dakota, Washington, and Wyoming. The remaining twenty-five states (as of February 2008), plus the District of Columbia, have not adopted combined reporting and are vulnerable to chains escaping their state tax obligations by shifting income to subsidiaries. These states are Alabama, Arkansas, Connecticut, Delaware, Florida, Georgia, Indiana, Iowa, Kentucky, Louisiana, Maryland, Massachusetts, Mississippi, Missouri, New Mexico, New Jersey, North Carolina, Ohio, Oklahoma, Pennsylvania, Rhode Island, South Carolina, Tennessee, Virginia, and Wisconsin. [B]ills to implement combined reporting were introduced in several other states, including Arkansas, Connecticut, Florida, Iowa, Kentucky, Maryland, Massachusetts, Missouri, New Mexico, North Carolina and Wisconsin." If Maryland enacts Combined Reporting, won't we lose jobs as businesses flee the state? Not according to "The Massachusetts Budget and Policy Center [which] compiled this fact sheet describing employment growth in states with combined reporting states from 1990-2006. They find that 1) five of the seven states with the fastest employment growth use combined reporting and 2) ten of the states with combined reporting had employment growth exceeding the national growth rate." (New Rules Project). This indicates warnings that businesses will leave the state are unfounded. Companies that use tricks to evade state taxes--like retailers and other chains with many locations--cannot serve communities from afar. The Combined Reporting article lists The Gap, Home Depot, Ikea, Kmart, Kohl's, Limited Brands (including Bath & Body Works, Victoria's Secret, The Limited, and other chains), Payless Shoes, Staples, and Wal-Mart as companies that escape taxes, but which would be forced to pay their fair share under combined reporting. * The U.S. Supreme Court has rejected the claim that combined reporting unfairly taxes corporate income earned outside the taxing state and has upheld combined reporting as a fair means of measuring the portion of income that a member of a corporate group earns in a state. * Adopting combined reporting is essential to nullifying a wide variety of aggressive tax-sheltering strategies that large multistate corporations are able to implement to reduce or even eliminate their income tax payments. The targeted measure Minzner recommends as an alternative addresses only one of those strategies, some of which can only be shut down effectively by combined reporting. * The states that have had combined reporting in effect for the past 15-20 years have been disproportionately successful in retaining manufacturing jobs – the jobs theoretically most likely to be moved in response to state tax policies corporations find objectionable. For example, 9 of the 11 states that performed better than New Mexico in manufacturing job growth between 1990 and 2007 mandated combined reporting. * Mandating combined reporting would raise substantial new revenue for New Mexico, particularly when corporate profits begin recovering from the recession. The state’s Legislative Finance Committee estimates a 20 percent corporate tax revenue increase would result – funds that will be available to preserve education, health or other services that are good for the state’s economy. A revenue estimate of this order of magnitude is consistent with estimates done in other states, including an especially careful estimate recently made in Maryland. * Mandatory combined reporting would mitigate the competitive disadvantage that some small businesses now face relative to multistate, multi-corporation groups that can lower their taxes by artificially shifting income into other states. How does it work? How do corporations use this trick to avoid paying state taxes? The way chain retailers are evading their state tax obligations is by transferring profits to certain types of subsidiaries. One common approach is to establish a trademark holding company. Another is to set up a real-estate investment trust, or REIT. In the trademark holding company scheme, a chain sets up a subsidiary in a state that does not tax certain types of income, such as Delaware, Michigan, or Nevada. Home Depot, for example, has a Delaware-based subsidiary called Homer TLC Inc. The subsidiary, which consists of little more than an address, owns the company's trademark. Home Depot stores in other states pay the subsidiary a hefty fee for using the trademark. These fees are then deducted as business expenses from Home Depot's tax returns in those states. Meanwhile, because Delaware does not levy corporate income taxes on earnings from intangible assets such as trademarks, the profits are not taxed in that state either. The REIT method has been widely used by large retailers, most notably Wal-Mart. What's the big deal? Is this really costing Maryland money? Again from the Combined Reporting article: [T]ax experts believe these schemes are costing states billions of dollars in lost revenue and likely account for a sizeable share of the decline in state corporate income tax receipts that has occurred in recent years. In 1977, corporate income taxes accounted for 9.7 percent of total state tax revenue. By 2001, their share had fallen to 5.7 percent and had dropped to an estimated five percent by 2004 (see The State Corporate Income Tax: Recent Trends for a Troubled Tax). Between 1992 and 1994, Limited Brands transferred more than $1.2 billion from its stores to Delaware subsidiaries. Kmart shifted $1.25 billion into its Michigan subsidiary, Kmart Properties, Inc., from 1991 to 1995. More recently, evidence submitted in a case in North Carolina revealed that, in one four-year period, from 1998 to 2001, Wal-Mart and Sam's Club stores across the country paid captive REITs a total of $7.27 billion in "rent." Based on an average state corporate income tax rate of 6.5 percent, this enabled Wal-Mart to avoid about $350 million in state taxes over those four years, according to an analysis by three tax experts commissioned by the Wall Street Journal. A report by Citizens for Tax Justice, a Washington-based nonpartisan group, and Change to Win, a labor coalition that represents 6 million workers, estimated that Wal-Mart's tax avoidance schemes helped cut its payments to state governments almost in half between 1999 and 2005. Over those seven years, Wal-Mart reported $77.4 billion in pretax U.S. profits. But it reported a total state income tax bill of only $2.4 billion, or 3.16 percent of those profits. The researchers' report said that if Wal-Mart paid taxes at the statutory state corporate tax rates for the same period, it would have paid $4.7 billion in state income taxes. Is Combined Reporting a real solution? Several court cases have dealt with the question of whether this practice constitutes a legitimate tax-reduction strategy or an illegal tax-evasion scam. But the cases have produced mixed results. Some courts have sided with the corporations and ruled that the practice is legal. Others have favored the states. A January 2008 decision by a North Carolina district court ruled that the state was right to collect an additional $33.5 million in taxes from Wal-Mart, which the chain had tried to avoid paying through a captive REIT scheme. Rather than undertaking the expense and uncertainty of a lawsuit, a better way for states to block these tax-evasion schemes and level the playing field for local retailers is to enact a relatively straight-forward revision to the state tax code, known as "combined reporting" (and sometimes referred to as taxing companies on a "unitary basis"). States with combined reporting are effectively able to tax the percentage of an out-of-state subsidiary's profits that can legitimately be attributed to a firm's in-state operations. Combined reporting has been upheld by the U.S. Supreme Court. In 2004, Vermont enacted combined reporting legislation. View full text of Vermont's Act 152. From 2005-08, bills to implement combined reporting were introduced in several other states, including Arkansas, Connecticut, Florida, Iowa, Kentucky, Maryland, Massachusetts, Missouri, New Mexico, North Carolina and Wisconsin. Selected Articles from the Hometown Advantage Recent news on efforts to enact combined reporting. State Tax Policy and Entrepreneurial Activity In this November 2006 study, the U.S. Small Business Administration found that states that have adopted combined reporting and throwback rules have higher entrepreneurship rates. The study hypothesizes that "the presence of these policies might represent an overall state tax climate that is less favorable toward larger businesses and perhaps more favorable toward small businesses." Building a Strong Economy: The evidence on combined reporting, public investments, and economic growth The Massachusetts Budget and Policy Center compiled this fact sheet describing employment growth in states with combined reporting states from 1990-2006. They find that 1) five of the seven states with the fastest employment growth use combined reporting and 2) ten of the states with combined reporting had employment growth exceeding the national growth rate.